If you are concerned about the quality of your drinking water, filters are a viable and affordable option. It will give you bottle-quality water straight from the tap. However, home water purification systems are available in a wide variety of set-ups. And knowing the best one for your home can be difficult. While top-of-the-line drinking water filters are unbeatable in performance, the other options can be very enticing. Here are a few tips on distinguishing one home water purification system from the next. And also some advice on which set-up will work best in your home. Many homeowners have questions about the safety and content of the water that comes out of their kitchen faucet. Mine tailing, agricultural runoff, livestock waste, sewage, and industrial wastes are just few possible sources that can quickly pollute an entire water supply. If you live in urban areas, the EPA requires that every municipal water district print out an annual CCR (Consumer Confidence Report). It provides you with information regarding the levels of chemicals, bacterial contaminants, heavy metals, and other pollutants that exist in your municipal water supply. If you live in rural areas, or want to double check your CCR, you can have your water tested by private testing labs, county and state health laboratories, and departments of health. In fact, many independent organizations suggest that you test your water annually just to be safe. While cheap drinking water filters are available at nearly every department store, when compared to more complex home water purification systems, the former often comes up short. Many of the more affordable drinking water filters on the market require you to attach something to your existing kitchen faucet and flip the device whenever you want good quality water. In some cases, homeowners find that the seal between the faucet and the water filter deteriorates quickly or isn’t tight from the beginning; in many other instances, replacing filter components isn’t done frequently enough and the water you end up with is about the same quality as it would have been straight from the faucet. Since these contraptions are not always the most durable or convenient options, many have found that a slightly larger initial investment in a more permanent drinking water filter is the secret to water quality success! Installing water purification systems underneath the sink are the next rung on the water filtration ladder. These units typically function extremely well and produce very high quality water, and they require very little attention to maintain. Though they are certainly more pricey that buying a filtering pitcher to keep in the fridge or installing a slip-on faucet filter, the convenience and performance of these drinking water filters is, in many opinions, worth the higher cost. Since municipal water is tested regularly for the most common, harmful contaminants (though they don’t test for taste or contaminants in your water that aren’t deemed harmful), under-sink drinking water filters are probably as complex a system as any city-dweller will need. However, when the water your bathe in, brush your teeth with, and wash your clothes in comes from a well, there’s a good chance that an even more comprehensive home water purification system is necessary. Point-of-entry purification systems are installed where the water enters your home and filters all water entering the house. These systems typically deal with the actual health of your drinking, washing, and cooking water. Well water that enters your home isn’t altered unless you alter it. While some wells are perfectly contaminant-free, some provides water that must be purified to be safe from drinking. Installing home point-of-entry water purification system and getting your well tested regularly will ensure that your family isn’t at risk. Your plumbing shouldn’t be exposed to mineral deposits that can cause poor function and premature aging. Carbon Filters: The most common of all water purification systems. Carbon filters are the ones that attach directly to an individual faucet or are included in filtering pitchers. The carbon cartridge inside the filter instantly removes organic compounds when water is in contact with it. They’re very affordable ($30-$100), but the cartridge will have to be replaced periodically. Available in both granulated and solid block varieties. They are effective at removing foul tastes and odors from water. If you have problems with lead, VOC’s, asbestos, cysts, and coliforms, there are specifically made, certified carbon filters that can help. 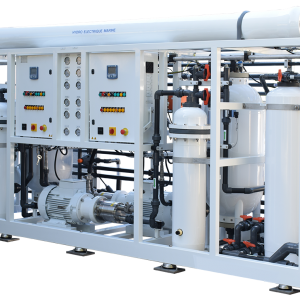 UV and Reverse Osmosis: These two methods use a high-tech form of ultra-violet or membrane filters to remove all harmful minerals in the water supply. These can treat as well as condition your water and are often the methods used in under-sink water filtration systems. Expect basic systems to be very costly. Reverse osmosis is the type of filtration used by many bottled water companies. It does thorough job and is one of few that is effective at removing metals and nitrates from your water. Water Softeners: Hard water is caused by increased levels of calcium and magnesium in the supply. 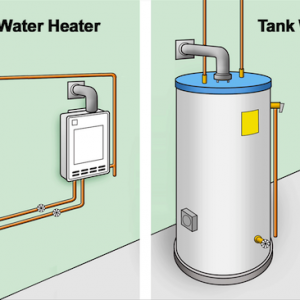 Hard water causes scaling in water heaters, ruin appliances’ life span, and hinder everyday routines. Water softener passes the hard water through ion-exchange bed and turns calcium into sodium. It softens your water for more effective use. Water softeners are a necessary part of point-of-entry water purification systems of many well users. Safe drinking water is a vital aspect of good health, making poor water quality a serious problem. If you suspect your water isn’t safe to drink, talk to a specialist. Choose and install the right water purification systems to make your water safe again. Thank you for explaining the concept and several types of water filters. The article is worth reading. I would suggest you to add your service here: https://thewaterq.com/findwater/ to boost sales and online presence. I thought it was really cool that it was awesome that reverse osmosis uses membrane filters to remove harmful substances from the water. My home is very old, so I’ve been thinking of getting a filtration system for it. I’ll totally share this article with my family, so we can make an informed decision. Where can I find out more about reverse osmosis filtration. Recently I have been thinking about getting my water looked at and I wanted o look up some information. I really appreciated how this article talked about having your water tested by testing labs. I think that this is a great idea to make sure that I have the best water for my family. 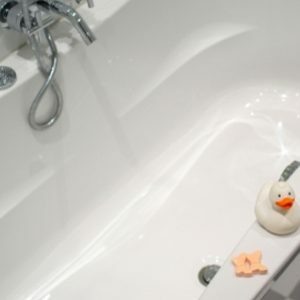 It’s great that this article explains the different types of water treatments and how their cost varies depending on the form and functions you choose. When choosing one, it might help to go online to research the different types as well as the brands and models. Doing this could help you learn about how they work and their cost so you can figure out which one’s affordable and will help you clean your water.